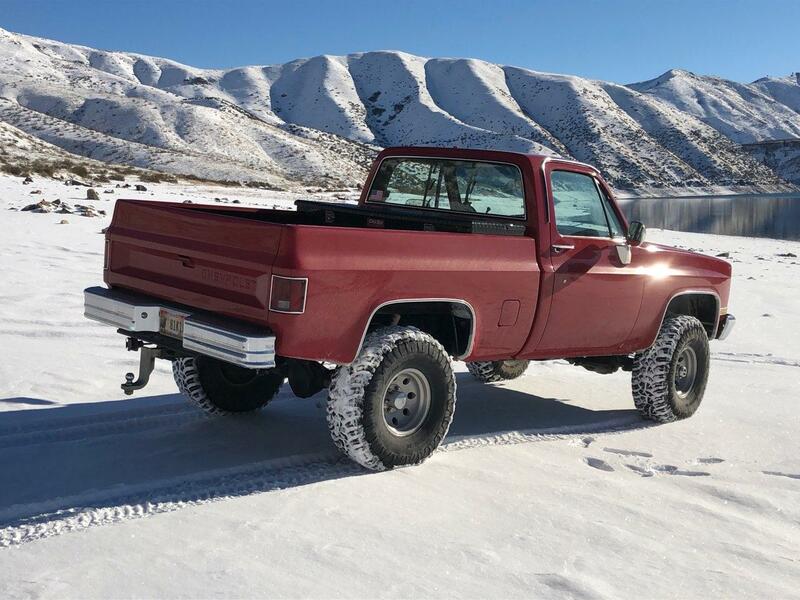 Whats the length of the driveshaft on 79 with a 400 trans? Like! Super clean under the hood. My 1985 gmc all cleaned up and engine bay. Just picked up her a few days ago. 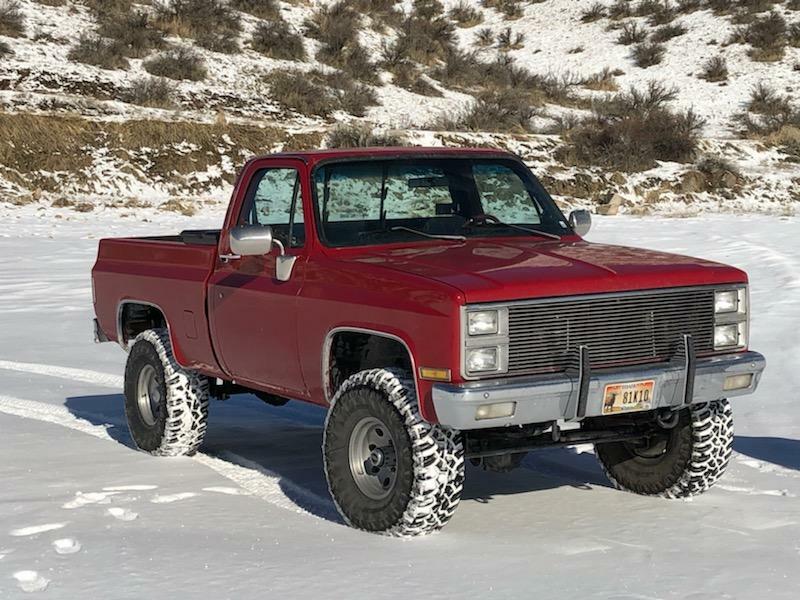 86 Silverado with 49k original miles. Swapped wheels and removed some tint so far. This is my 1977 Chevy step side which has had a body off frame up restoration and modifications. Engine updated to crate 454/425hp, trubo 400 trans and a 12 bolt rear end. 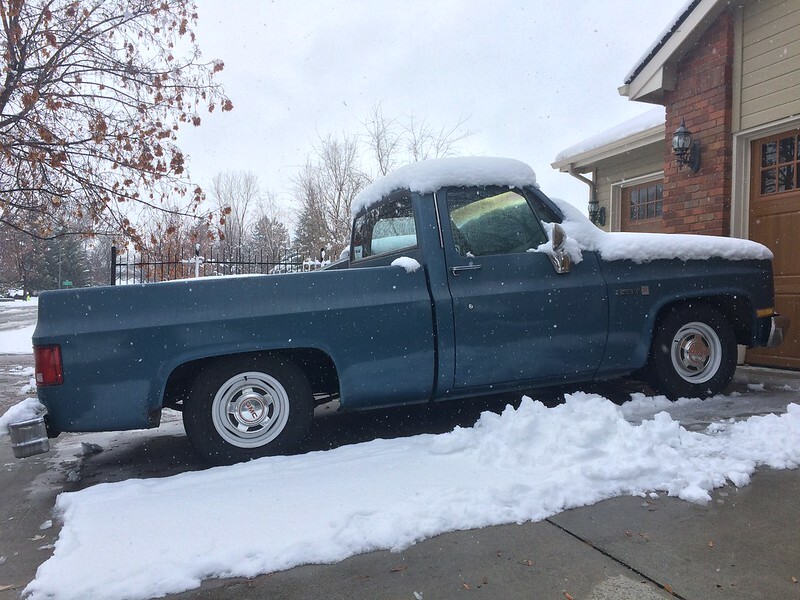 I purchased this truck new in 1976 with a big block in it. Cool history on a factory BB truck. Mine is finally a true short bed. It has been hanging out somewhere in between for a while now. Obviously there is still a bit of finish work to be done, but mathematically it is a short bed now. A lot of work on the short bed, well worth it, looks good. Stock 305,maybe LS swap in the future,2.5 spindles and 4" drop in rear,gonna put 8" rallys on and clean it up a bit. Nice, nice truck....I believe I recognize your truck from a magazine feature. "I was patina when patina wasn't cool." Very sharp, nice color combo! Super clean new muse, any more info on it? Bought it to drop, clean up, and flip. Should be done this weekend. 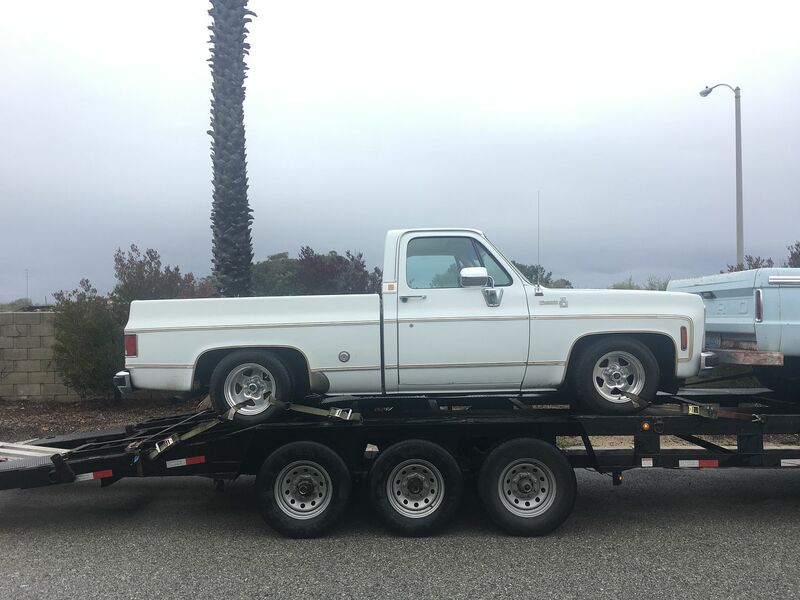 Supposedly a California truck originally. Rebuilt 350, 700r, tilt, no ac. Drives nice. Beautiful interior. Heres my truck. Nicknamed Grumpy by my daughter. Yours is one of my favorites!! Clean n mean. Reminds me a lot of my truck, still in construction though. My daily original paint truck.